An Einstein ring is the deformation of the light from a distant source (such as a galaxy or star) into a ring through gravitational lensing of the source’s light by a nearer object with an extremely large mass (such as another galaxy or a black hole). 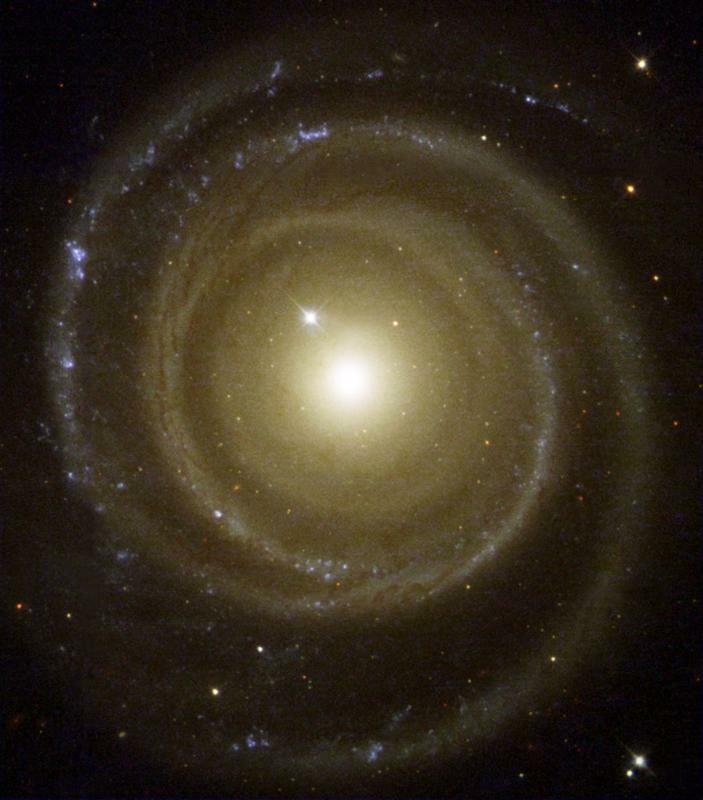 This example (SDSS J162746.44-005357.5) was imaged by Hubble. 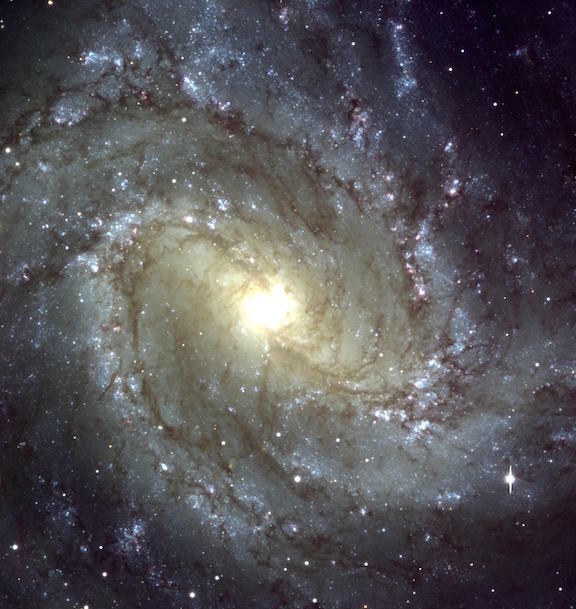 Messier 99 (aka M99 or NGC 4254) is an unbarred spiral galaxy about 50 million light-years away in the constellation Coma Berenices. This is NGC 6818. It’s a planetary nebula also known as the Little Gem Nebula. It about 6,000 light-years away in the constellation Sagittarius. The cloud is a bit more than half a light-year across, huge compared to its central star but still a little gem as nebulas go. When stars like the Sun are read to “retire,” they shed their outer layers into space which creates glowing clouds of gas called planetary nebulae. The ejection of mass is uneven, and planetary nebulae often have very complex shapes. 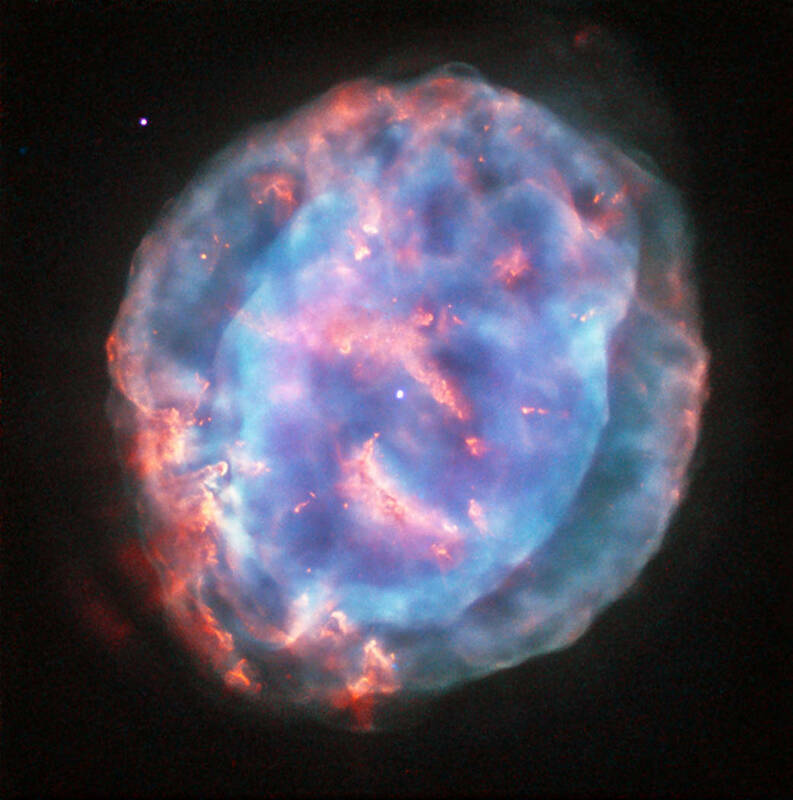 NGC 6818 has a bright and enclosed central bubble surrounded by a larger, more diffuse cloud. It appears that the stellar wind from the central star propels the outflowing material, shaping NGC 6818. As the fast stellar wind smashes through the slower-moving cloud, it creates particularly bright blowouts in the bubble’s outer layers. This isn’t a comet. It’s Asteroid (6478) Gault out in the main belt between Mars and Jupiter. So what’s it doing with a pair of tails? The longer tail stretches more than 800,000 km) and is roughly 4,800 km wide. The shorter one is roughly a quarter as long. One theory suggests that the tiny asteroid, only 2.5 miles wide, is disintegrating as a result of long-term effects of sunlight. Sunlight? Yes, the cumulative force of the Sun’s light can slowly speed up a small body’s spin, and when spinning fast enough, it will throw off material. Pressure from sunlight very slowly began spinning up the diminutive asteroid at an estimated rate of 1 second every 10,000 years, the it may have taken 100 million years or so to get the spin rate up to a destructive level.